Nurture an early and enduring love for the promises of God with this “Practical Theology for Toddlers.” Highlighting compelling key truths in each of 52 vibrantly illustrated and easy to recall bible stories, this marvelous book presents the entire story of the Bible, from Creation to Revelation. Perfect for early readers. 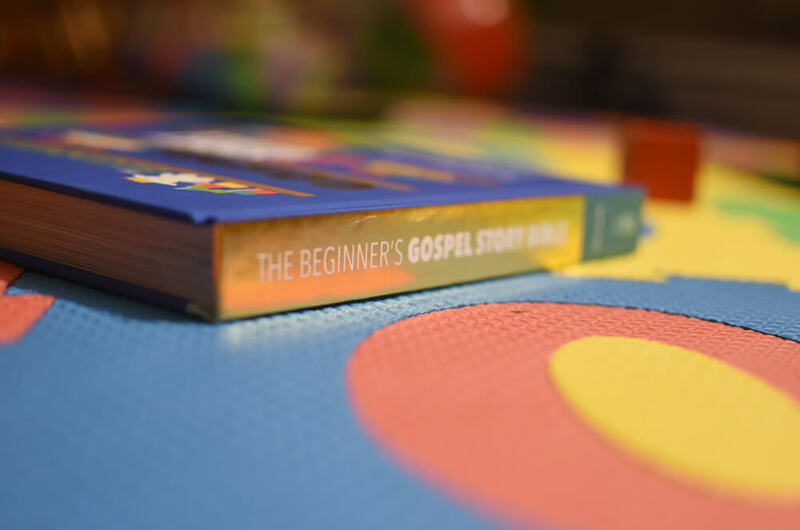 How do you explain the gospel to toddlers and preschoolers? 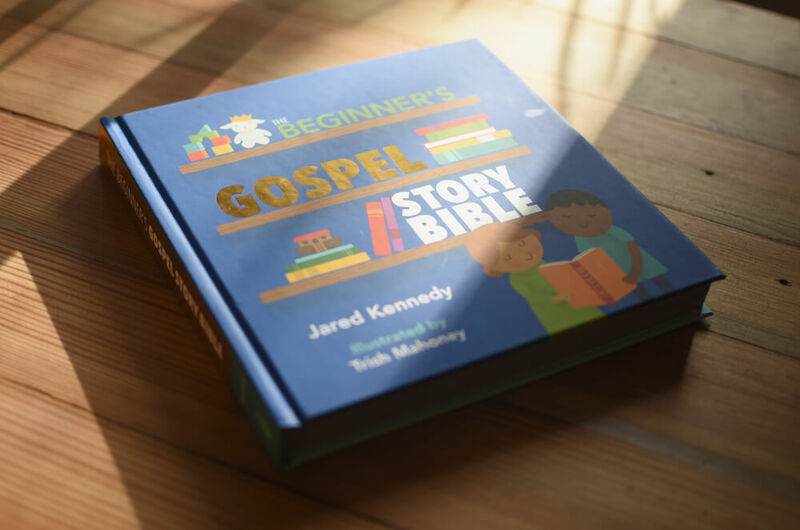 Often adults are stumped, but Jared Kennedy’s focus on the promises of God makes the gospel come alive to the littlest hearts. 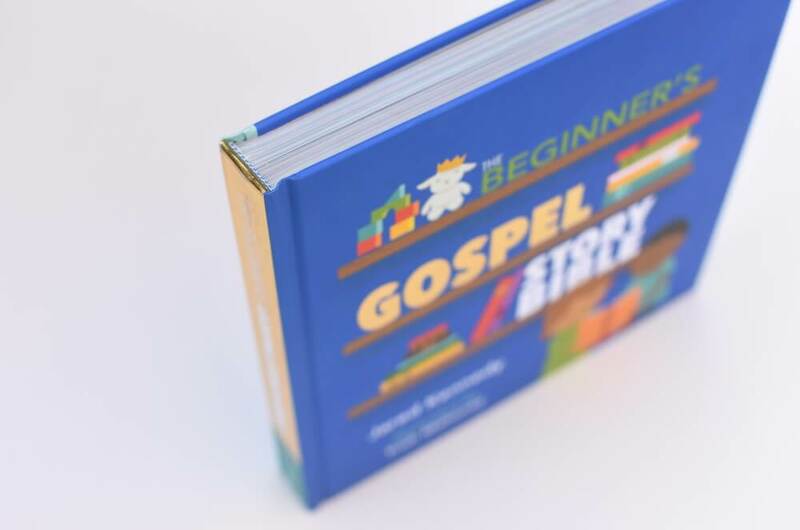 Through fifty-two Old and New Testament stories, The The Beginner’s Gospel Story Bible highlights God’s perfect promises. Every page pops with bright colors, playful illustrations, fun learning opportunities, and, best of all each story points children to Jesus. 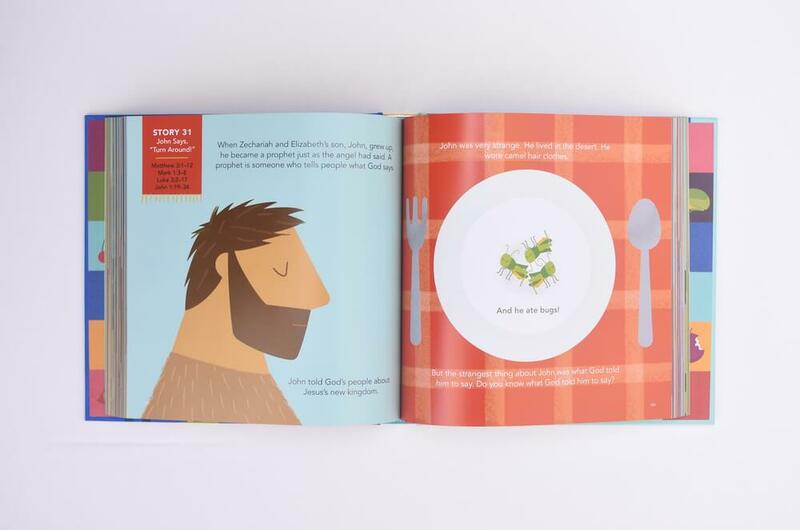 Gospel-centered Bible stories expressed in ways that speak to toddlers and preschoolers. Children will learn the good news of God’s love for them. Traces God’s perfect promises throughfifty-two Old and New Testament stories. Brightly colored illustrations by Trish Mahoney highlight each story and add fun elements to keep young children’s attention. Each story ends with a question that parents and caregivers can use to reinforce the message. What Makes the Product Unique? While much has been written in recent years for older preschoolers and children, very little has been written from a gospel-centered perspective for young preschoolers and toddlers. 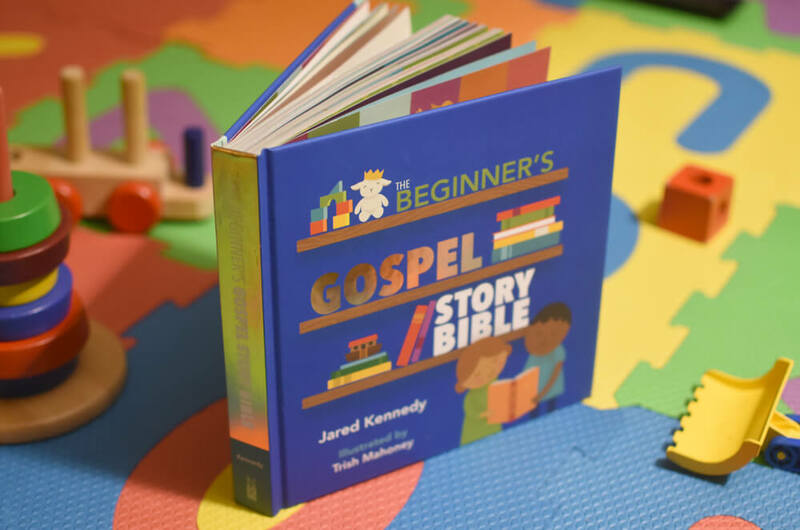 The Beginner’s Gospel Story Bible was written for children ages two to five, retelling fifty-two Old and New Testament stories in simple and compelling ways that will speak to their young hearts. Brightly colored illustrations highlight the story and add fun teaching elements of counting, opposites, patterns, and object recognition to keep even the youngest child’s attention, and each story ends with a question that parents and caregivers can use to further reinforce the message. What Is the Product for? 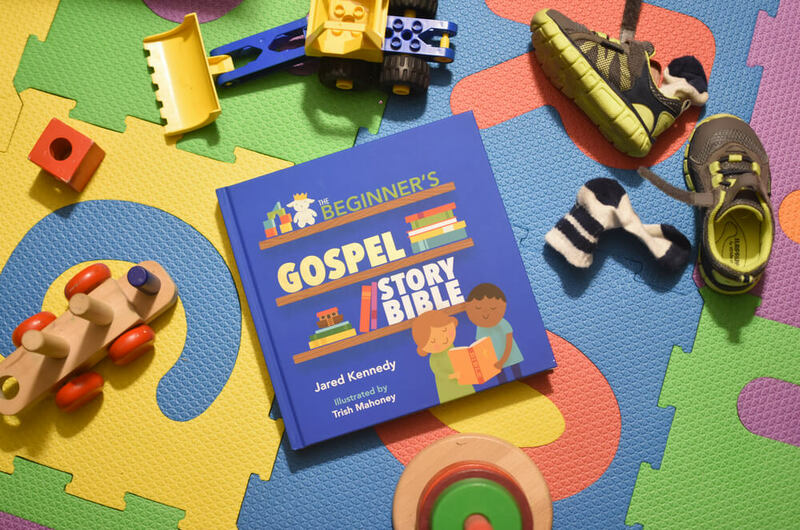 The Beginner’s Gospel Story Bible traces God’s perfect promises through fifty-two Old and New Testament stories to show toddlers and preschoolers how God keeps his promises—better than anyone could have thought or imagined! Each gospel-centered story highlights God’s tale of redemption through Jesus and the unexpected ways that God’s grace and mercy are revealed throughout the Bible. 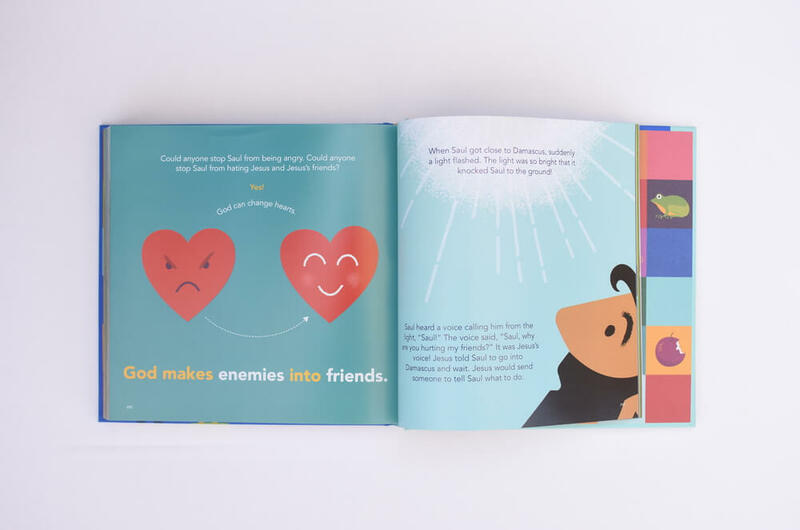 Along with brightly colored illustrations that will hold children’s attention and questions to help parents and caregivers reinforce the message, even the youngest children will come to know that God’s promises are especially for them, and that God always keeps his promises. Who Is the Product for? 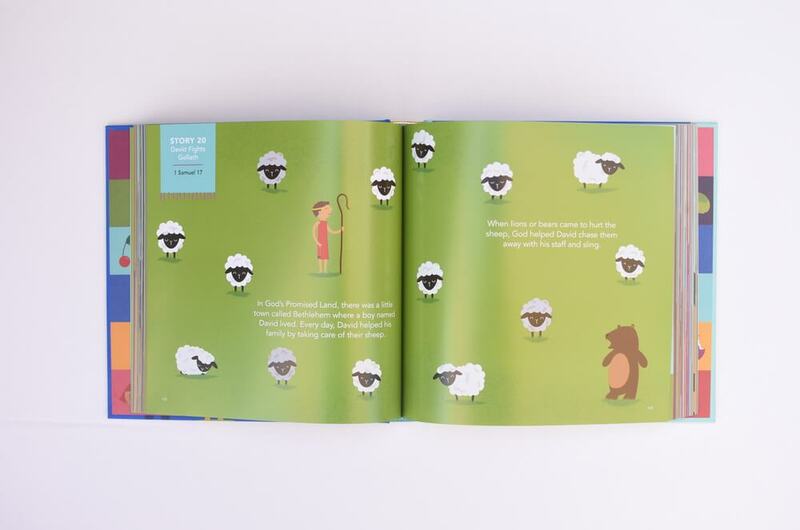 Written with toddlers and preschoolers in mind, each of the fifty-two Old and New Testament stories in The Beginner’s Gospel Story Bible are retold in simple and compelling ways that will speak to their young hearts. 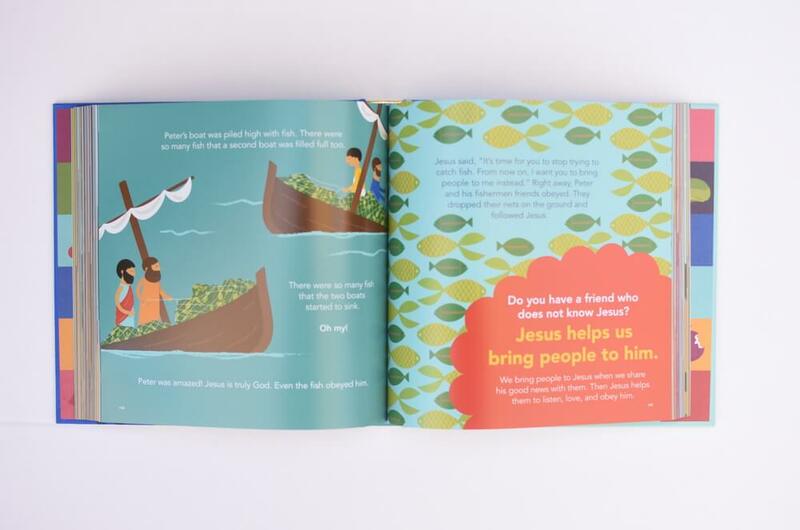 Parents are encouraged to read this book to their children one chapter at a time—or have their children read it to them!—and use the illustrations and questions included with each story to help their children engage with and learn the gospel. Parents or caregivers may choose to read one story a week with their children, creating a one-year Bible curriculum for young children. Older children can also be encouraged to read the stories to their younger siblings, allowing the entire family to come to know the good news of God’s love for them.